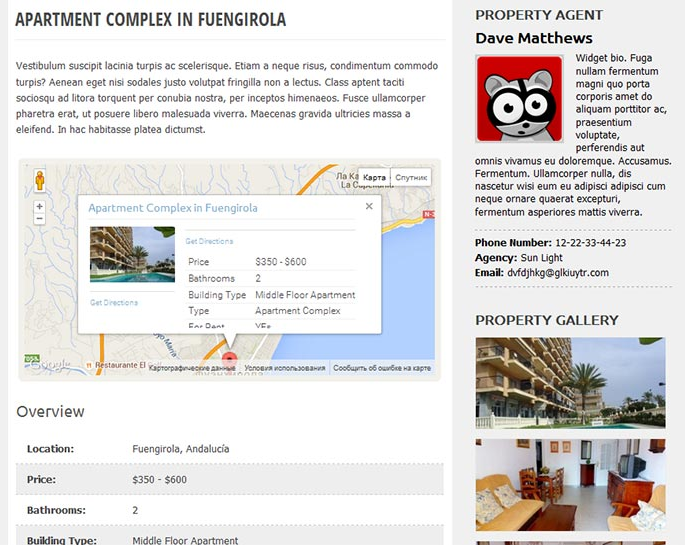 A real estate widget is a snippet of code applied to part of your website to add features. A plugin, often used interchangeably with widgets, is an application that adds functionality to the whole site. Thirteen were identified as the best real estate plugins for 2018 based on price, benefits, reviews, and online support. JetPack Realtors seeking a marketing tool with SEO and social features; also great for security. IMPress Listing Real estate agents who want a familiar, easy layout for property listings. WP-Property Property managers who need lease-oriented listings for villas, apartments, and homes. Estatik Agents seeking a high degree of customization for property search, including maps and geo-location. Easy Property Listings Realtors seeking social media connections to share properties and view agent information. Essential Real Estate Agents seeking a plug-in to display inventory and collect payments for rental properties. iHomeFinder Realtors wanting a mixture of IDX integration with property search and enhanced reporting. Responsive Mortgage Calculator Agents or brokers seeking to increase leads by offering mortgage tools for buyers. Easy Testimonials Realtors wanting to use reviews on their website to build sales and trust. Bookly Real estate agents desiring online booking services to increase appointments and face-to-face meetings. GetSocial Agents who value social sharing and want to add follow buttons for lead capture. Newsletter Realtors seeking a drag-and-drop way to create newsletters to engage website leads. Freshchat Agents wanting to use chat to connect to buyers and boost leads. JetPack is powerful for realtors who want to keep their site secure from hackers while maximizing social and SEO marketing. With the ability to schedule posts in office or on mobile, agents can see how their Facebook and Google ads are performing, what is happening with their SEO, and tweak for better results from any device. The JetPack WordPress plug-in is designed for real estate agents and mid-sized realty companies that frequently invest time and money in online advertising. With the detailed insights into SEO, social media posts, and ad spend conversions, an analytics-experienced real estate agent or broker might be more at home with this feature-packed real estate plug-in. The convenient WordPress platform for posting and updating listings makes the IMPress real estate plug-in very easy to use. With the ability to quickly upload pictures, add text, and design a whole listing with the same user-experience as posting a blog on WordPress, there is a small learning curve. 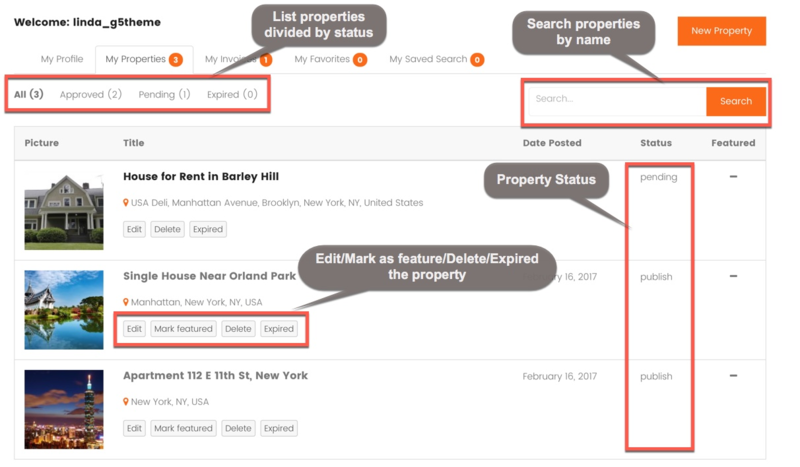 Complete with real estate widgets to search by property status, type, and location, IMPress is a simple tool for users. This WordPress plug-in is right for real estate agents who want a professional property listing without spending hours adding content. The ability of individual agents to sign in to make changes means that they do not need technical support to achieve great listing results, and the WordPress “feel” makes this real estate plug-in very intuitive. WP-Property plug-in is lease-oriented to give agents the ability to customize their property listings to include apartment complexes, condos, and villas. This no-coding plug-in means that you can easily install it on your website and start listing your properties quickly. With search parameters geared toward lease properties, rental leads will find the right property without fuss. The WP-Property real estate plug-in is designed with property and lease managers in mind. This plug-in makes it easy for lease managers to post properties without the hours of customization that come with most standard property templates. Estatik is a property search engine with geo-location and map features to show listings around an identified location in a card-like layout. The layout creates an easy-to-browse design focused on presenting several properties at once to pique interest and maximize exposure for listings. 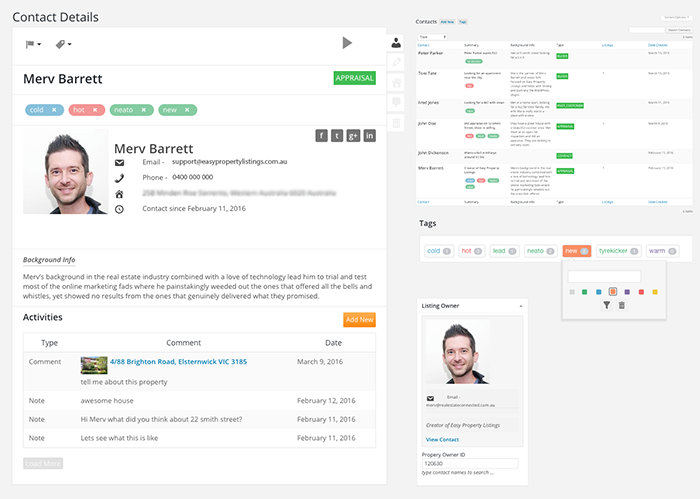 Estatik allow agents the flexibility of selecting a layout, search type, features like wish lists and saved searches, as well as social sharing parameters without excessive work. Estatik is perfect for real estate agents who are fairly comfortable working with the back end of a WordPress website or have a person on staff who can make these adjustments. The basic installation is packed with great features, but access to higher level features like agent support and front-end login require a Pro subscription that might be better suited for a broker or larger agency. Easy Property Listing is an SEO-optimized, responsive, and mobile-ready plug-in that incorporates social media connections in agent profiles. Complete with a full array of templates and real estate widgets to completely customize your website in a few minutes, the Easy Property Listing real estate WordPress plug-in is the code-free answer to creating a professional website. Easy Property Listing is right for real estate agents who are at ease editing their own WordPress website and desire the ability to customize the layout. There are premium add-on features like email alerts, market reports, testimonials, and award recognitions that would be a good choice for larger real estate companies or brokers. The Essential theme is best for leases and rental properties that want to collect payment online. Equipped with front-end and back-end property submission abilities, agents can submit their listings for approval or be given access to upload their own properties. Website visitors can search and save favorites, compare properties, and print flyers. With a social login and social share capabilities, this mobile-ready, responsive real estate WordPress plug-in is easy to customize. The Essential Real Estate WordPress plug-in is right for larger agencies with multiple realtors or brokers with on-the-go agents needing remote login to manage listings. This is also a good choice for property managers who want to invoice renters and collect payments online. iHomeFinder uses the power of IDX integration combined with the MLS to yield extensive property listings. 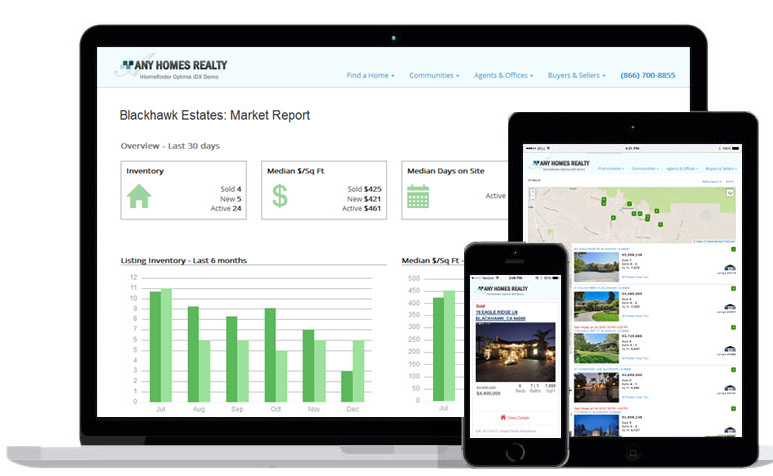 With the feature-rich offerings expected of a real estate IDX website, like “save to favorites” and automatic emails of matching property listings, the iHomeFinder WordPress real estate plug-in is equipped with robust reporting, lead capture tools, and SEO analytics. The WordPress iHomeFinder plug-in might not be for all real estate agents because the installation and customization do require some technical knowledge. The plug-in is free, but you will need a full subscription to add your IDX connection and full reporting. 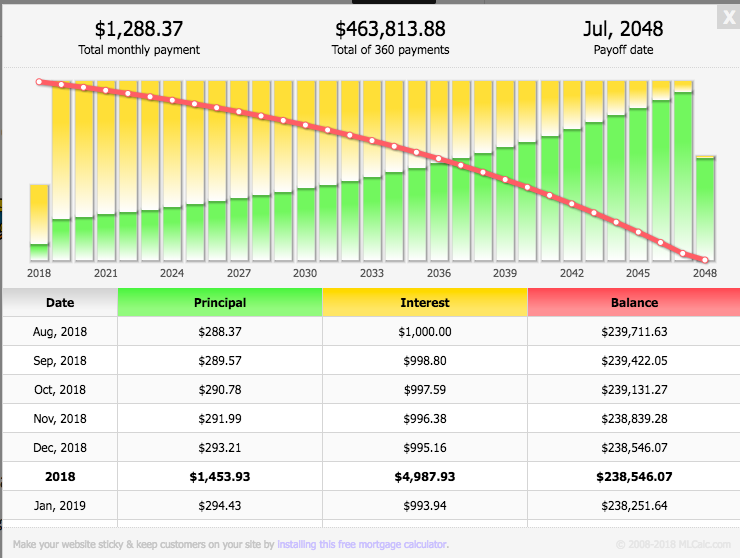 Responsive Mortgage Calculator keeps traffic on your site longer by supplying mortgage predictions. While simple, this plug-in can easily direct leads into your site’s property listings with the information they need to conduct a cost-appropriate search. Responsive Mortgage Calculator is best for agents who want to draw and retain traffic interested in mortgage estimations. Responsive Mortgage Calculator is simple to install with instructions of less than five steps, which is ideal for agents with even the most basic technology skills. WordPress real estate widget Easy Testimonials allows you to easily add customer reviews and comments to your website. You can select how reviews show up and which pages the reviews appear on with Easy Testimonials. If you are an agent or broker with good reviews, then the Easy Testimonial WordPress real estate plug-in is the right way to get people to share their thoughts. Reviews left by past clients can build trust and help get potential clients to contact you. Bookly is the WordPress plug-in that works as your own personal assistant on your website to let clients schedule their own meetings. This allows your site visitors to search properties and then schedule an appointment on the same site through the user-friendly interface. When a booking is made, the agent will get a text reminder. The Bookly real estate plug-in is just right for on-the-go agents or teams tired of juggling a phone and an appointment book while trying to talk to buyers. 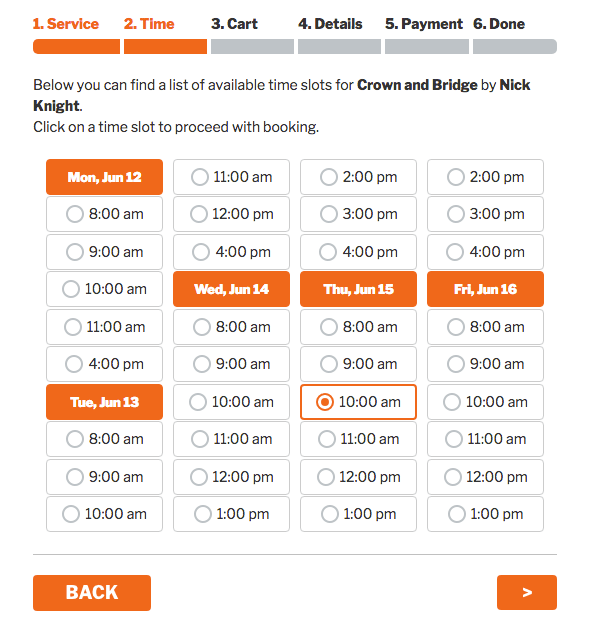 For agents and teams that want to include a booking opportunity through their website without using third-party services, Bookly is a good choice. 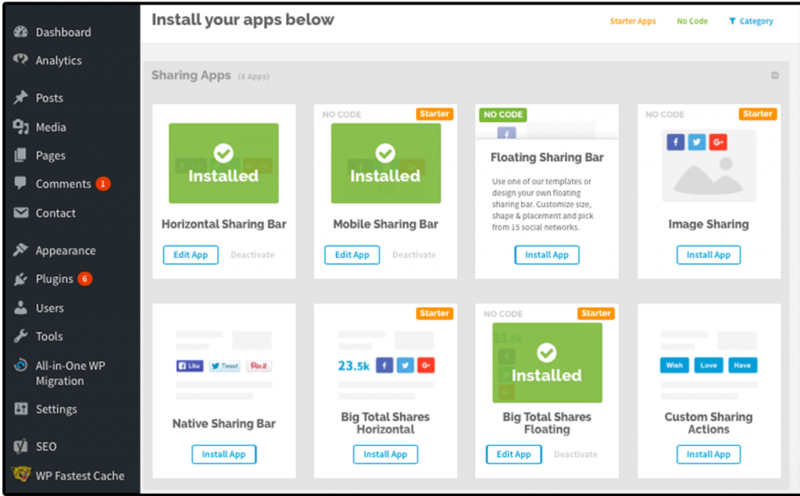 GetSocial is the social sharing and analytics plug-in that helps with newsletter sign-ups. Without requiring any coding skills, the GetSocial real estate plug-in allows users to share content and property listings from your site on social media. The added benefit of GetSocial is a Welcome and Subscribe bar that prompts people to sign up for a newsletter or share contact information to receive a lead magnet like a free report. The GetSocial real estate plug-in is perfect for agents who want to grow their subscriber lists and gather contact details from website traffic. GetSocial allows real estate agents to put sharing and sign-up bars in more accessible places to boost leads through the website without tweaking code. The Newsletter WordPress real estate plug-in gives realtors the ability to quickly create and distribute a newsletter to leads gathered through the contact form or lead magnets on the website. The real power is in the tracking statistics, such as click-through-rates, as well as handy features like multi-listing targeting for emails and single/double opt-ins that keep agents compliant with spam laws. The Newsletter WordPress real estate plug-in is for real estate agents at all levels who want to quickly send a bulk message about an open house or segment a list for follow-up without shifting between a website and an email program. You can send emails in HTML or text with a simple drag-and-drop editor, so this is a good choice for real estate agents and brokers with no coding experience. Freshchat is an easy-to-use chat interface that prompts visitors to leave their contact information and ask questions of agents without having to send an email. Freshchat can decrease customer turnover and allows people to interact immediately in their buying moment. Learn more about Freshchat reviews and pricing. Freshchat is best for larger real estate offices with someone available to field requests and respond to chat inquiries. While adding a chat feature does prompt people to ask questions and reach out to the agent, which can result in a sale, someone needs to be ready to accept those requests and respond in a timely manner. Evaluating the best real estate widgets and plug-ins for your website means balancing the needs of the agent and the buyer. Some real estate widgets add benefits for the realtor, like insights and lead capture, while other WordPress real estate plug-ins amp up buyer engagement and website traffic. Outlining the best real estate widgets and plug-ins means finding the right combination of features for the buyer and the agent. The criteria used to determine the best real estate WordPress plugins and widgets include any costs, the overall features, installations by users, ease of use, and online support. Price: While most WordPress real estate plug-ins are free, there might be a charge to upgrade the features or increase the services. Some plug-ins and real estate widgets require registration instead of payment. Features: The above real estate plug-in features fall into two main categories: site enhancement and agent assistance. Site enhancement increases the functionality of the website so people stay longer and convert more often. Agent enrichment plug-ins are aimed at helping agents increase traffic and gain leads. Reviews & Installations: Reviews and installations give us a strong idea about what people think about the widget or plug-in, their experience, and the number of times it has been tested on a site. Ease of Use: The ability to quickly and easily install a WordPress-compatible widget or plug-in is a must for an active real estate agent. Spending hours trying to configure the settings and get the results you want means a loss of sales. Online Support: Online documentation and support for any problems, including installation, should be evident because most real estate agents are not versed in website design or development. These criteria helped determined which real estate widgets and plug-ins were most effective and returned the greatest ROI. With the customization available through these WordPress real estate plug-ins, real estate agents can add listings, social media posts, and engagement features like chat. What Is the Difference Between WordPress Widgets and Plugins? Many people use the words widget and plug-in interchangeably because they “seem” to do the same thing. A WordPress plug-in is an application installed on the server to apply to the whole site. A real estate WordPress widget is usually a drag-and-drop addition or a snippet of code to a certain area like a sidebar. What Is the Benefit of WordPress Widgets and Plugins? Widgets and plug-ins add functionality for improved communication, like contact and subscription forms; social media engagement, like social share buttons; and content management, like real estate property listings. This is functionality not native to many WordPress themes. What Should I Do Before Installing a WordPress Real Estate Plugin? You need to honestly evaluate your skill level, needed functionality, and desire to design or edit your website. If you are uncomfortable with the idea of adding real estate widgets or plug-ins, then consider hiring a freelancer who specializes in WordPress websites from an online platform like Fiverr. WordPress real estate plug-ins and widgets increase functionality and ease of use of the website for the agent and the visitor. The 13 that made it to the top of our best real estate widgets and plug-ins list for 2018 were compared on the basis of price, benefits, reviews, and online support. 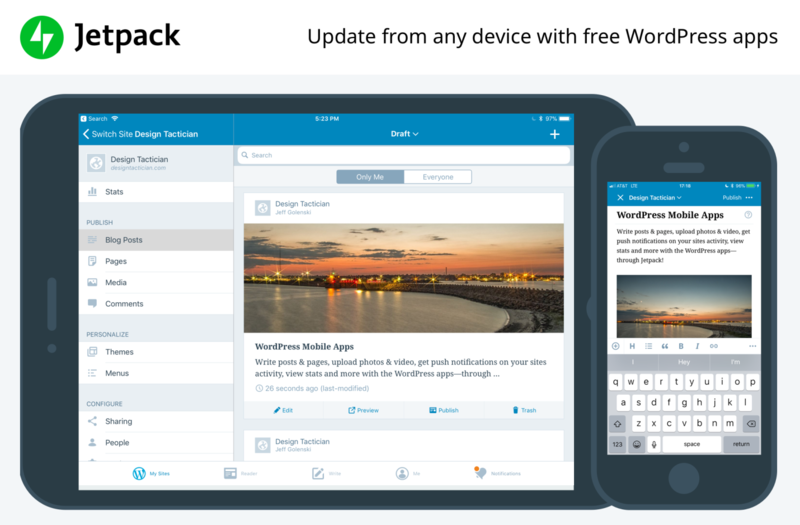 For added security and additional features, JetPack offers customizable templates that easily integrate with WordPress widgets and themes to create enhanced functionality. You can try JetPack free or check out their paid accounts that start as low as $3.50 per month. 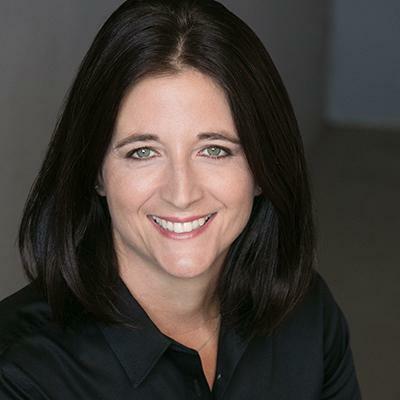 With over 15 years experience executing social media best practices, Diana takes every opportunity to share proven tips and tricks to grow business online. Diana can usually be found relaxing the blue light of a smartphone silently judging the social media blunders of large companies. Freshchat - FREE Live Chat Trial!